Apparently it was to cold in the house last night. 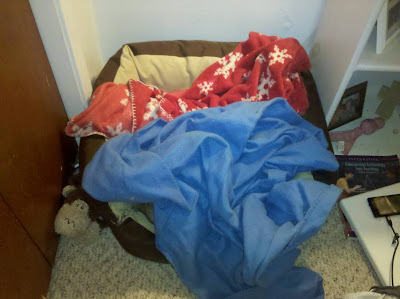 The pups even felt the need to kick monkey out of the bed. I asked Jeremy if he covered them up, nope...it was sheer Weenie dog doing.